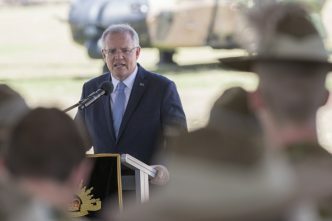 With much fanfare, Prime Minister Scott Morrison announced on 8 November the establishment of a new facility to help fund infrastructure in the Pacific. But a much more effective solution is available. 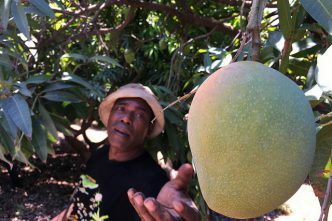 While the initiative is sensible in intention, it essentially does what all Australian governments have done with the Pacific: it treats the region as if the private sector can’t, or won’t, assist. It’s as if the public sector is the only solution to infrastructure needs in the Pacific. However, as I’ve argued before, we need to remember, among other things, the size of the pool of private-sector capital that’s ready, willing and able to invest in regional infrastructure. Specifically, the Australian institutional superannuation market is very large, at around $2.5 trillion. As investors begin to appreciate the benefits of infrastructure investment, the search for ‘good’ infrastructure projects is, along with other factors, pushing new transaction yields lower and lower around the world. However, despite the demand for infrastructure projects by the large Australian superannuation sector, virtually no institutional investor is looking to the Pacific for infrastructure investment opportunities. 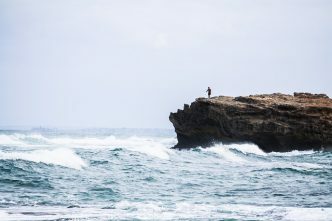 In many ways, the Pacific constitutes an investment vacuum, which institutional investors must traverse as they seek infrastructure opportunities elsewhere. The primary reason for their lack of interest remains market failures, of various forms. Currency risk—A lender, in this case the private sector, needs to obtain regular payments in the currency that funded the investment—that is, Australian dollars. In many cases, selling Pacific currencies and buying Australian dollars is impossible in the short term, although medium-term US dollar flows allow some sporadic hedging. This is an example of a market failure, which might be addressed by the public sector. 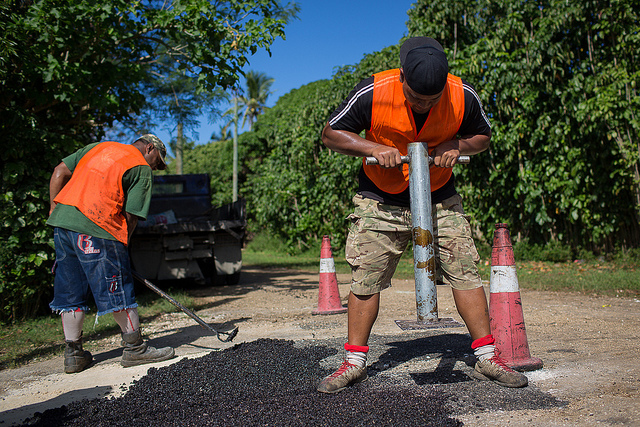 Sovereign default risk—Many infrastructure projects in Pacific nations link back to the state. Reference to a recent US dollar issue by one Pacific country might, in some cases, establish how much it would cost to hedge this risk through the credit default swap market. Even though hedging may emerge, the market depth is still woefully inadequate. This is another market failure, which might be addressed by the public sector. Project risk—These are the risks associated with the operational aspects of a project, which wouldn’t be borne by the public sector, but by the institution that funded the project. 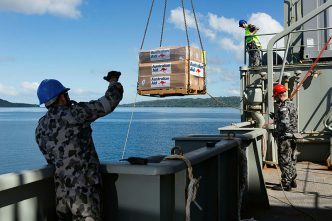 Levelling the infrastructure investment playing field by introducing risk-sharing arrangements that address areas of market failure should significantly increase the private sector’s interest, and involvement, in the Pacific. 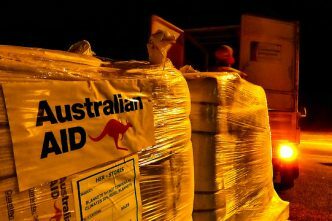 By insuring itself against currency and sovereign default risk, and charging subsidised premiums to institutional investors, the Australian government could provide a new, and much improved, solution to the problem of funding Pacific infrastructure that involves both the public and private sectors. Instead of lending money, the Commonwealth would subsidise insurance for hedging against the main risks of investing in the Pacific, where evidence of market failure exists. Accordingly, the insurance provided by the Commonwealth could form the basis for large private sector involvement in Pacific infrastructure. Instead of putting $2 billion of public sector money directly to work, as recently proposed by the prime minister, it would be better to use the suggested insurance technique to vastly expand the amount available to fund Pacific infrastructure—possibly allowing up to 10 times more investment. Importantly, such an approach may begin to build bridges between the infrastructure needs in the Pacific, on the one hand, and the large institutional Australian superannuation sector, on the other. While most large Australian institutional investors don’t know much about the Pacific infrastructure sector, the suggested approach may begin to build that all-important regional investment knowledge base. The scale of Pacific infrastructure development required is large. But the suggested structure may provide something that’s closer to an adequate amount of funding over the medium term. By contrast, the government’s proposed approach probably won’t be adequate to address the medium-term infrastructure funding needs in the Pacific. Alan McCormack’s recent Strategist contribution highlighted an approach used by other countries for engaging with the private sector under an outward foreign direct investment model. There are many things that can, and should, be learned from these models. However, the specific risks I’ve noted with reference to market failures—namely, insuring against sovereign default risk and currency risk—need addressing before institutional investors can begin the task of adequately considering infrastructure investment in the Pacific. Addressing these risks will help provide institutional investors with an adequate initial investment experience in the Pacific. That initial experience should then help ensure that, over the medium term, they’ll continue to provide infrastructure capital to the Pacific. Editors’ note: Many of the issues raised in this post will be examined in greater detail in an ASPI report by Anthony Bergin and Rebecca Moore on Australian business and the Pacific to be released on 28 November. Stephen Nash has extensive experience relating to investing in the Pacific from his time as chief investment officer of the largest superannuation fund in the Pacific. As a Cambridge Commonwealth Trust scholar, Dr Nash has published many opinion pieces and peer-reviewed journal articles. Image courtesy of the Department of Foreign Affairs and Trade on Flickr.